East Bay leaders on Thursday took a big step toward safer freeways. The Contra Costa County District Attorney's Office on Thursday met with local law enforcement officials and an FBI task force to discuss funding a new camera network along Interstate 80 and Highway 4, following a rash of highway shootings in recent years. Deputy DA Mary Knox and law enforcement officers mapped out 13 crime hot spots where state-funded high-tech cameras, microphones and license plate readers will soon be installed. If shots are fired on Interstate 80 or Highway 4, an alert will be sent out to investigators in seconds. "The reign of terror on the freeways is over," Knox said. "The task force commander will be able to potentially see suspect vehicles, potentially identify exits the shooter is taking off the freeway, take still photos of the involved cars and send to freeway-adjacent law enforcement." The California Highway Patrol reports that at least 85 shootings have been reported on the freeways between Richmond and Antioch since November 2015. 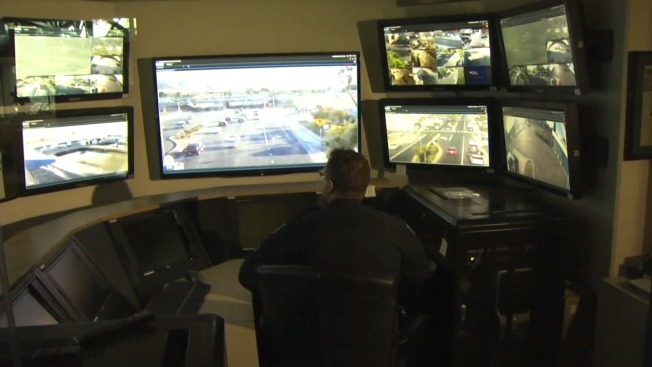 Now East Bay leaders are pushing for surveillance cameras to increase safety. Bob Redell reports. The California Highway Patrol reports that at least 85 shootings have been reported on the freeways between Richmond and Antioch since November 2015, according to the East Bay Times. In Contra Costa County alone, 21 people were injured by the gunfire and eight were killed. Macletus Henderson knows all too well how dangerous the county's freeways have become. Her 24-year-old son Demarcus Doss was shot and killed while driving a friend home on I-80 just two months ago. She says freeway cameras are a must. "I feel lost. I feel like the mother hen looking for one of my chicks, and he's not there," said Henderson, who added that she just hopes it doesn't happen to anyone else. Officials plan to install three types of technology at various points along the highways, the Times reported. The first is a surveillance camera that can pan, tilt and zoom. Next are shotspotter microphones that recognize gunfire and automatically direct the cameras in the right direction. And finally, a camera that is constantly scanning license plate numbers, the Times reported. "Every time a shooting happens, it feels to us like it's just a matter of time before stray bullets hit innocent commuters, families in cars with children," Knox said. State officials have pledged the funds to cover the cost of the equipment, which is expected to run between $1.5 million and $2 million. The newspaper reported the new surveillance system could be rolled out once the cost is nailed down, likely in a few weeks.